SWP – The smart way to invest and withdraw! SWP is suitable for those who wish to have a source of income on a regular basis. Everyone knows about the Systematic Investment Plan (SIP) which is very popular among mutual fund investors, but not many are aware about Systematic Withdrawal Plan (SWP), which is yet another innovative mutual (MF) fund product that can help investors maximise returns along with liquidity with regular withdrawals. 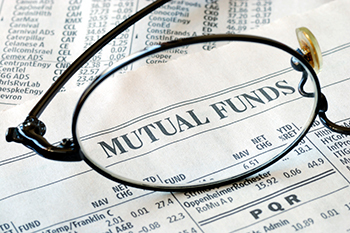 Under the SWP, the investor invests a lump sum amount in a mutual fund scheme but, unlike the regular MF schemes, he has the facility to withdraw a fixed amount of money from the MF scheme periodically. The withdrawal can be done on a monthly, quarterly, half-yearly or yearly basis. This way, the investor has partial liquidity at regular intervals and, since the balance amount remains invested, he also reaps the benefit of earning returns on his remaining investment. Under the SWP, the investor also benefits from the power of compounding on the amount remaining invested. Systematic withdrawals also provide the benefit of rupee cost averaging to the investors. SWP is suitable for those who wish to have a source of income on a regular basis. It is an excellent investment option for those who have lump sum amount to invest but wish to withdraw a specific amount on a regular basis, keeping the balance amount invested. SWP is ideal retirement planning as those who have retired or are on the verge of retirement would like to have their retirement kitty invested but wish to withdraw a specific amount on a regular basis.